Close your eyes and picture yourself in Italy; the sound of water features trickling in the background, the delightful ambience of sitting outside watching the world go by, and of course, the taste of delicious Italian gelato. 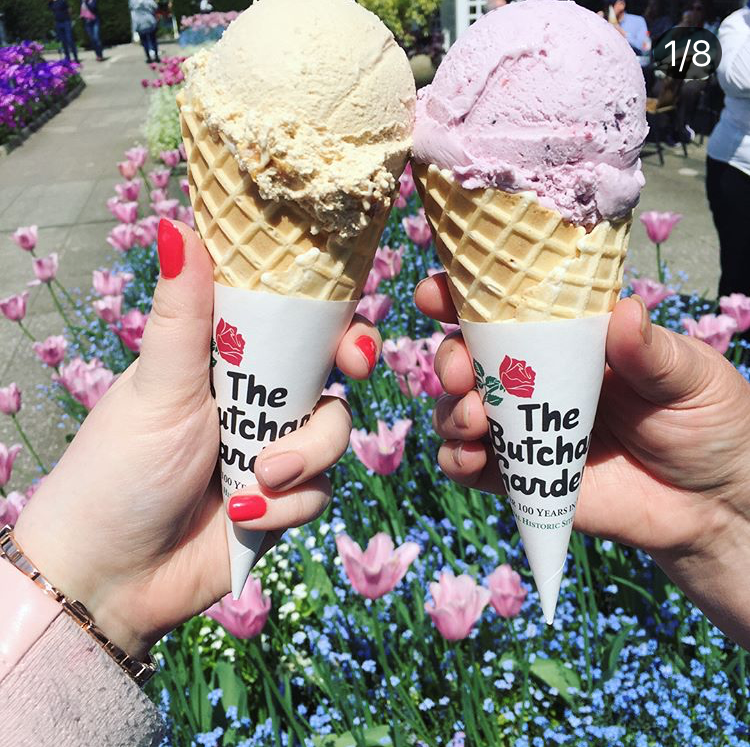 The Italian Garden at The Butchart Gardens is home to all of that, and we would like give you a taste of what to expect from the Gelateria, open during the warmer months in the Italian Garden. 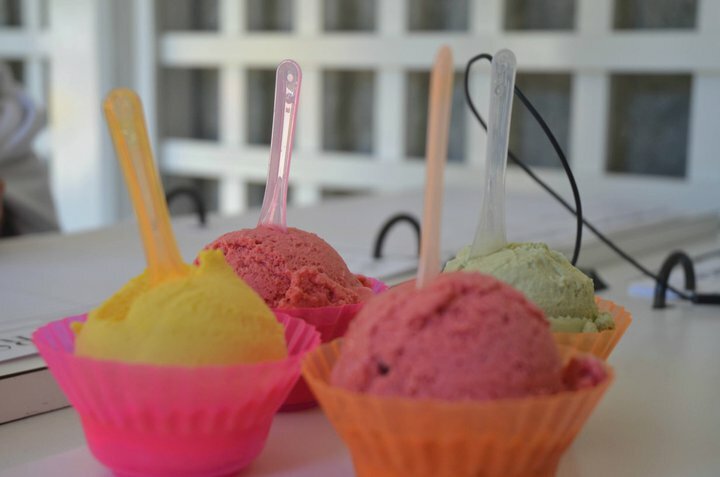 Each season, the Gelateria rotates between a selection of 12 locally-inspired flavours. For example you might find a honey lavender flavour, featuring honey and lavender from nearby farms. Our talented culinary team honed their gelato-making skills in Italy, where they met with suppliers and attended Gelato school to better understand the mechanics of creating flavours and production techniques. Then, they came back and got to work creating a mouthwatering selection of flavours ranging from savoury to sweet. Here is a glimpse at some of the flavours that may be available. The team is always thinking about fun and new ways for you to enjoy their creations. This year, the gelato cookie sandwich was introduced in the Coffee Shop. Gelato pops, new flavours such as pistachio, sour cherry and salted caramel, plus a couple dairy free options are also in the works… stay tuned! Hint: On Saturday evenings before the fireworks show, we bring a taste of Italy closer to you by adding a gelato cart near the entrance of the fireworks viewing lawn.